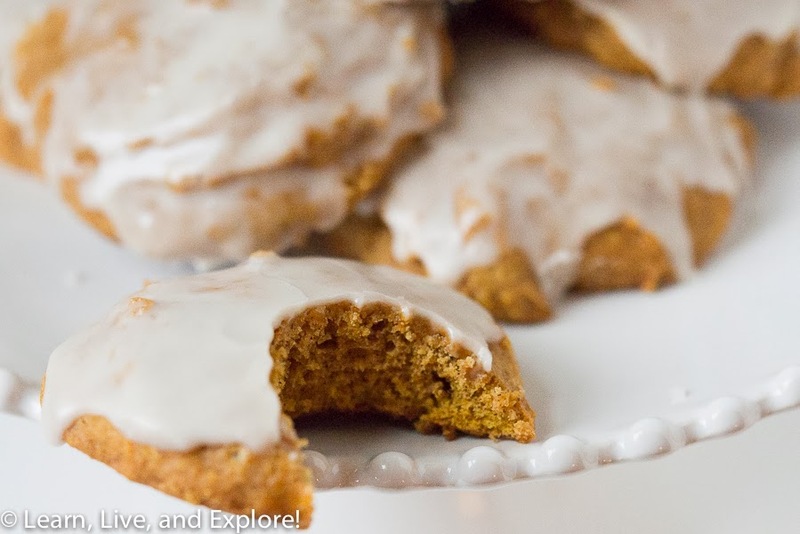 Iced Pumpkin Spice Cookies ~ Learn, Live, and Explore! Just because Starbucks has switched from the Pumpkin Spice Latte to the Gingerbread Latte, it doesn't mean that you have to quit all other pumpkin flavored goodies. Maybe all of the stores have switched over to Christmas decor and Santa has arrived at the mall, but gosh darn it, I WILL have my Thanksgiving because it is one of my favorite times of the year! And I love any excuse to use my nutmeg, cloves, and cinnamon with canned pumpkin. 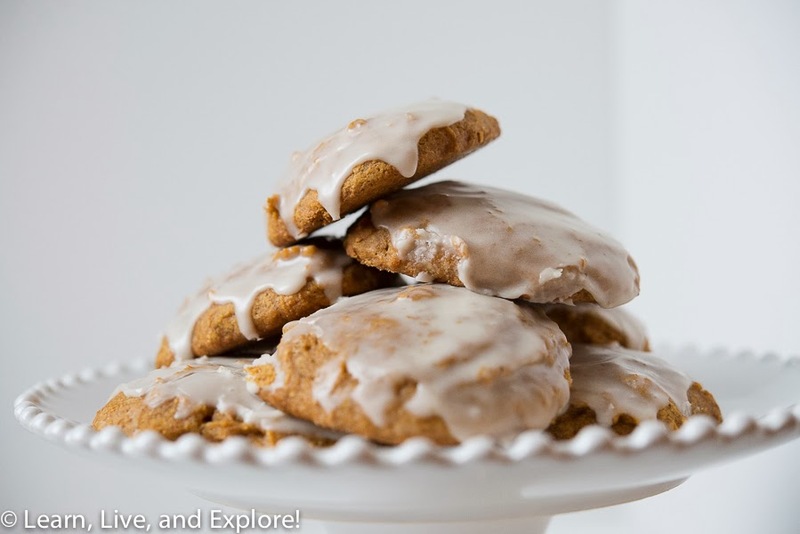 So, to celebrate the best flavor of fall, I found this soft cookie recipe on Allrecipes.com that is perfect for breakfast, lunch, dinner, dessert, or a snack. 7. Drop on a silpat or parchment covered cookie sheet. 8. Bake for 15-20 minutes. Cool cookies and glaze. 1. Whisk together and add more milk if the consistency is too thick. 2. Drizzle glaze on cookies or dip the cookies in the glaze and let them drip through on the cooling rack onto wax paper for easy clean up. Oops...someone took a bite out of this cookie during the photo shoot!